The watch crown is pulled out to set the time on your watch and if the watch has a date or day/date function it is also used to set it as well. The stem is the connection between the crown and the watch movement. 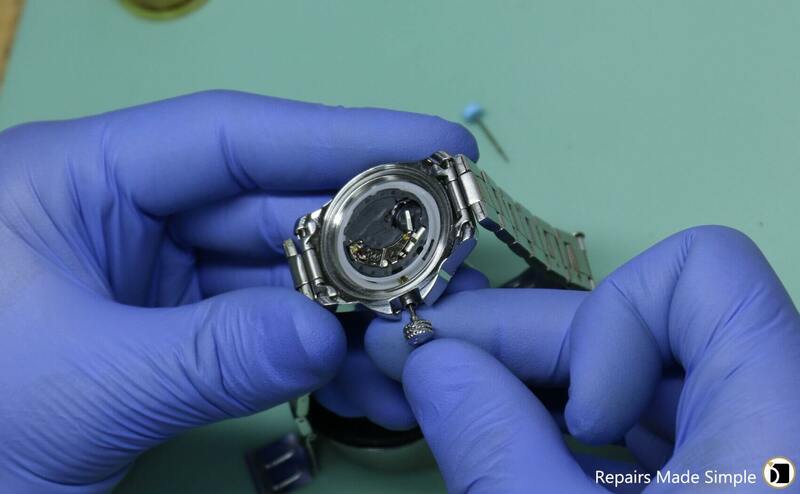 If your crown or crown and stem become detached from your watch, do not try to reattach it yourself. Have a professional watchmaker evaluate your watch. Trying to push the crown and stem back in the watch can cause damage to the movement. In some cases, the watchmaker may need to replace both the crown and stem at the same time. It depends on the age and condition of the existing crown, an older crown can become seized to the stem and very difficult to remove. When this occurs more often than not the old stem breaks off inside the crown, making the crown replacement required. It is also important to ensure your watch remains water resistant, and the crown must have the right fit. Watches with higher water resistance levels, for example dive watches, might have a screw down crown. This type of crown provides additional protection. The watchmaker will also check to see if the movement was damaged when the crown and stem became detached. If so, watch it may require a new movement. 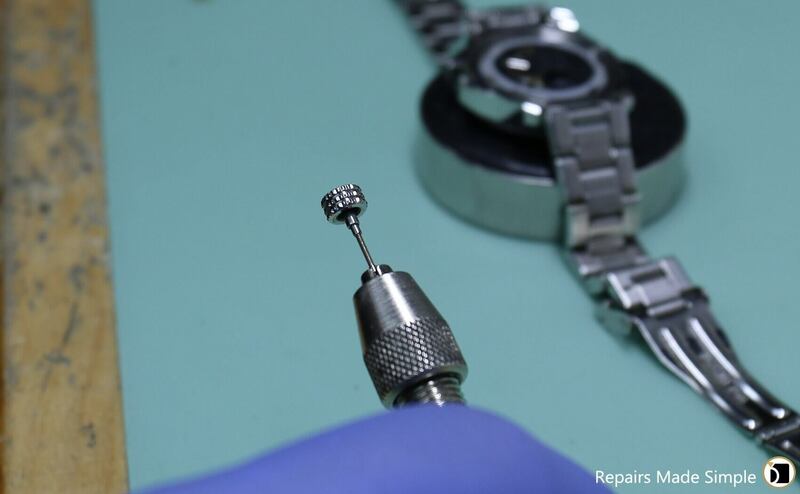 Some crowns have special details or are branded, and in most situations, myjewelryrepair.com can source the replacement crown from the manufacturer, however if it is an older watch the exact crown may no longer be available, but do not worry, we can source a generic crown for your watch. The phrase “over wound” is a bit of a misnomer. Technically a watch could be over wound to the point of actually breaking the mainspring and other components, however if that were the case, the damage would be catastrophic. In most instances the watch is just old/worn and in need of service. “Overdue” is a better way to think of it.